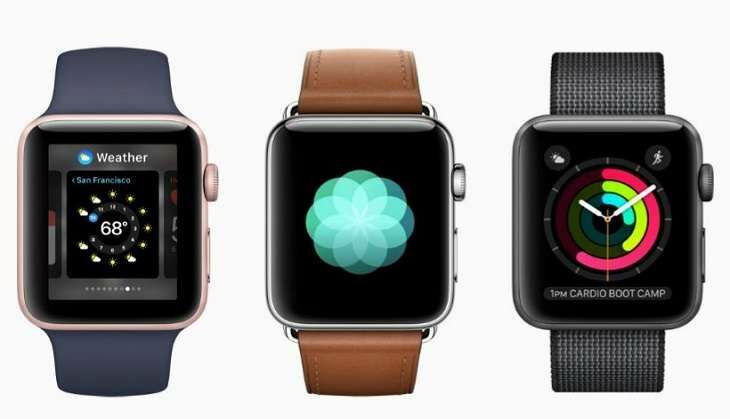 Apple unveiled the second series of its smartwatch at its September iPhone event at San Francisco. The second-generation smartwatch appears to be focused on dominating the fitness gadget market, what with its customised features for runners and swimmers, to name a few. Interestingly, the phone also comes loaded with Pokemon Go, which has been credited with getting users to engage in physical activity. 1) The new gadget comes with a water-resistant shell, which makes the watch swimproof up to 50 meters. 2) It comes with a built-in GPS chip, which means that you no longer have to use a phone for mapping. The Apple Watch Series 2 uses Wi-Fi, GPS and locally stored satellite data. 3) The Apple Watch 2 battery can run a full day. 4) The new Apple Watch Series 2 has a dual-core processor which Apple claims to be 50% faster than its predecessor. The original Apple Watch now has an upgraded S2 dual-core processor and will start at $269. 5) Besides aluminium and stainless steel, the smartwatch also comes in a luxury white-coloured ceramic model. 6) The smartwatch features a new GPU, which promises up to two-times better graphics. 7) The smartwatch boasts the brightest display from Apple till date - at 1,000 nits. 8) The Apple Watch 2 also allows wheelchair fitness enthusiasts to close their Activity rings and comes with dedicated workouts. 9) Apple Watch is available in two different case sizes, 38 mm and 42 mm. 10) Apple Watch Series 2 will be available in gold, rose gold, silver, space gray aluminum or space black stainless steel cases. The price of the smartwatch starts at $369 while the new ceramic Apple Watch Edition starts at $1249. #AppleEvent: Just as Apple launches AirPods, Twitter loses its mind! READ NEXT >> #AppleEvent: Just as Apple launches AirPods, Twitter loses its mind!